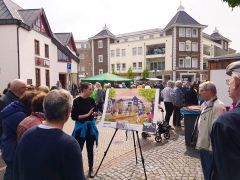 Yesterday we presented our public space program for the city renovation of Alpen (“Stadtumbau Alpen”) to the inhabitants during their yearly city festival “Blumen- und Spargelfest”. 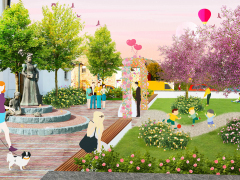 Through 9 strategic projects, the public realm will be restructured to ensure attractive living conditions in the town. The plans for the different projects were shared during several guided tours, with the plans showcased in front of the current conditions. The first project to be realized is the Neue Mitte, where a new ‘living room’ for Alpen is envisioned. We designed a special series of furniture –scaled up living room elements- to create a generous and intimate space. During the event, real scale mock-ups of the new street furniture were presented, and tried out by the inhabitants who provided us with their feedback. The exposition and city tours were organized in co-operation with the municipality of Alpen and attracted a huge amount of visitors. Felixx has won the competition in 2015 together with DeZwarteHond. Beginning of construction is expected for early next year. 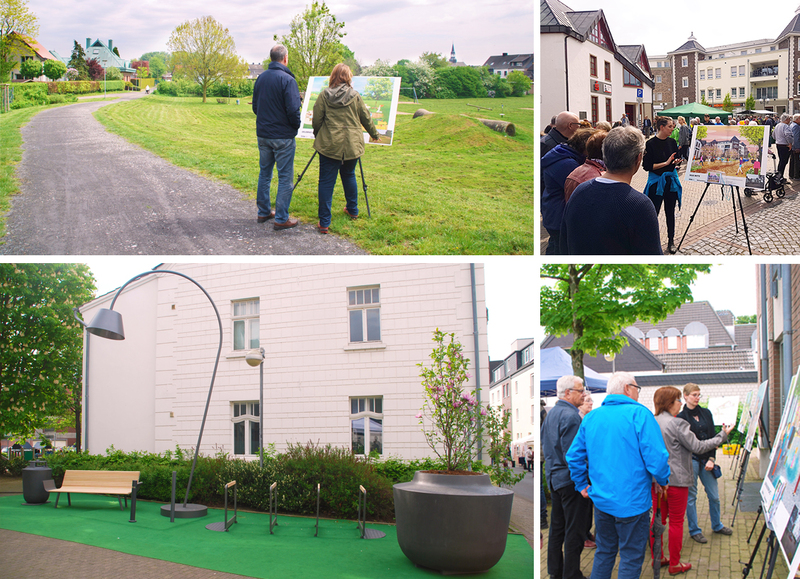 Yesterday we presented our public space program for the city renovation of Alpen (“Stadtumbau Alpen”) to the inhabitants during their yearly city festival “Blumen- und Spargelfest”. Through 9 strategic projects, the public realm will be restructured to ensure attractive living conditions in the town. 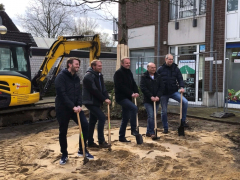 The plans for the different projects were shared during several guided tours, with the plans showcased in front of the current conditions.The first project to be realized is the Neue Mitte, where a new ‘living room’ for Alpen is envisioned. We designed a special series of furniture –scaled up living room elements- to create a generous and intimate space. During the event, real scale mock-ups of the new street furniture were presented, and tried out by the inhabitants who provided us with their feedback. The exposition and city tours were organized in co-operation with the municipality of Alpen and attracted a huge amount of visitors. Felixx has won the competition in 2015 together with DeZwarteHond. Beginning of construction is expected for early next year.